United States of America has long been hailed as the land of freedom and opportunity. It is the basic founding principle of our country that every person has the right to live free from persecution, or the fear of persecution, based on their race, religion, nationality, membership in a particular social group, or political opinion . Though every government is obligated to provide this basic human right, many fail. Every year millions of people face persecution in all parts of the world for traits they cannot control or exercising their religious or political beliefs. As you read this, people across the planet live in fear, get imprisoned, tortured, and die for their opinions, their faith and the color of their skin. When governments fail to protect these rights, people have the right to move to a country that will protect them. This is the right to asylum . People who seek to exercise this right are called "asylum seekers" or, in some cases, "refugees." The Asylum Application (Form I-589) should be filed with USCIS before the one year anniversary of the asylum seeker's entry into the U.S. and should be thoroughly supported by documents, evidence and testimony regarding the persecution experienced by the applicant. There is no USCIS fee for the asylum application. Once granted asylum, the asylum seeker receives a special stamp in their passport showing they were granted refugee status. 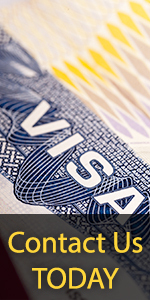 This status and the accompanying stamp allows the applicant to work in U.S. legally during the duration of the asylum status and they are not required to have a separate Employment Authorization/ Work Permit. Asylum holders may travel freely before the expiration of their status. Applicants that were granted Withholding of Removal are required to apply for and to renew their Employment Authorization. A person granted asylum may apply for adjustment of their status and receive a Green Card after one year of being in asylum status and maintaining good standing (no arrests, no criminal convictions). The application is submitted by filing a USCIS Form I-485 and the payment of the filing fee, together with all supporting documents. Please note that asylum holders are strongly urged not to visit the country where they experienced persecution as this may be a bar to their receiving permanent residency (the USCIS officer may question the moral character of a refugee who visited the very country which they had to seek asylum protection from). Submitting an asylum/withholding/CAT application is a highly complicated intricate legal matter. E-US-VISA.COM urges you to consult an attorney before submitting your application. Law Offices of Marina Shepelsky, P.C. has helped many asylum seekers successfully receive asylum and adjust to permanent residence, alongside receiving withholding of removal and CAT relief. Your case will be handled by an experienced attorney that has knowledge and experience in asylum law and country conditions.